About this time last year, a work colleague made the announcement that she was leaving the agency and moving to the other side of the state to enjoy the slower pace of mountain living. This colleague actually worked in a different division from me and had a very different job, but we shared an office wall and spent at least thirty minutes every afternoon on a walk around the block together to make sure we got some fresh air and a few steps. We chatted about a million different things, and of course, as always when I’m involved, some of that always had to do with music. In her last week, she asked me to make her a mix CD of Kpop songs so she could listen to it on the long drive to her new home and when word got out, a few other folks around the building wanted copies as well. Alix and I talk Kpop a lot, even it our real lives, and it had piqued the interest of all sorts of people around us. 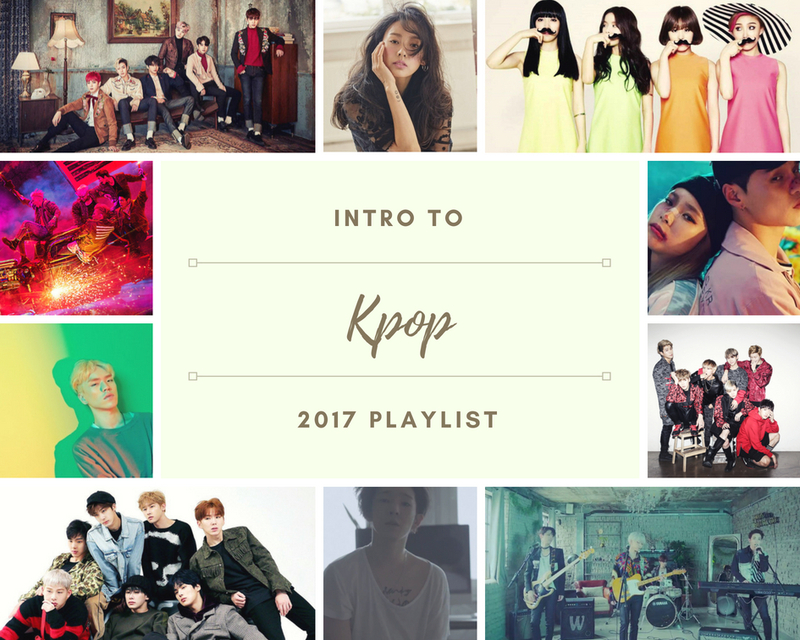 When faced with the opportunity to share Kpop with new folks, you are usually given, at most, one or two songs to catch their interest. There’s a huge amount of pressure to pick just the right tune to match your audience. However, when you get a whole CD, you have a lot more wiggle room to experiment with different subgenres, groups, and sounds. You never know what might strike a person’s fancy and prompt them to delve more deeply. I have stayed in loose contact, mostly through social media, with the colleague that jumped ship for a better life, but we haven’t really talked about her thoughts on the music I shared. Two other folks from the office, however, have actually come back for more. One is a very good friend who has a small son, just turned three, whom I babysit and take for extended visits when she has to travel for work. He and I spend lots of time listening to music together and I’ve been working hard to shape his tastes from an early age. When my friend popped in the Intro to Kpop CD and pushed play, he immediately said ‘Why do you have Auntie Sara’s music and turn it louder…she plays it louder!’ He hasn’t let her play anything else for almost a year. I recently made him a new CD and he now deems that one acceptable as well. The second budding fan is actually someone that has, for many months now, become a part of our Friday night gatherings. She hadn’t shown much interest in the music but has been tolerant of our obsessions largely because we ply her with wine, feed her, and help her unwind after a long week of hard work. However, recently, she texted our group chat to let us know that she was listening to that first CD I’d given her and really enjoying it. Then, while carpooling to a girls night that didn’t involve my basement, she told me that she’d been looking up some of the groups on YouTube and she’d also enjoyed a few links I’d dropped into the chat that were Dean-centric. I think the magic of it all is finally hitting her. So, for this week’s Throwback, I thought I’d share what it was I popped on this mostly work and kid appropriate playlist, though you should note that I have changed it up a smidge since it was first made, because I listen to the playlist via my iTunes on a semi-regular basis and it did require some refinement. My kid listens to what I listen to, which includes a lot of Kpop. Same! My kids listen to Kpop, watch a lot of Japanese movies, and have taken Mandarin. They can pretty easily tell the difference between most Asian languages visually and auditorially. Love it!